I can’t see into the future so I have no idea what’s in store for Star Wars fans in late May 2017 when Episode VIII is released. But one Disney exec let slip one tiny detail that might seem unimportant at first, but it may actually be quite revealing – and it might end up being the best thing about Star Wars: Episode VIII, at least for me. Caution, though! While this article doesn’t include any spoilers for the eighth installment in the Star Wars saga, it does have one major spoiler for Star Wars: The Force Awakens. Disney’s Kathleen Kennedy revealed during a tour for the U.K. release of the new movie that every actor in attendance will return for the second episode in this new Star Wars trilogy. That list includes Harrison Ford and his iconic Han Solo character, arguably one of the best male heroes in movie history. Let that sink in for a moment. Han Solo is coming back to Episode VIII. Han Solo’s hilarious dialog is returning for at least one more show. Han Solo, who dies by the hand of Kylo Ren in what’s going to be remembered as one of the most hated but also most amazing moments in Star Wars history, will be back for Episode VIII. When talking about Kylo Ren’s background in a different article, before Disney confirmed the cast for the upcoming episode, I did speculate that Han Solo might be back in some manner, even if that means he might appear in flashbacks. And now it looks like that may be the case. No, Han Solo’s death isn’t Star Wars’ Jon Snow moment. He can’t possibly come back from that intense confrontation with Kylo Ren. Darth Vader’s successor clearly killed him. And if Han somehow survived it, the subsequent fall and explosion would’ve surely killed him. But whatever the writers of the next Star Wars movie have imagined, Han Solo is coming back to the universe in the next episode, and I can’t be any more excited about that. To find out why Han Solo had to be killed in The Force Awakens, check out this post, as J.J. Abrams and Co. explain the reasoning behind Kylo Ren’s actions. 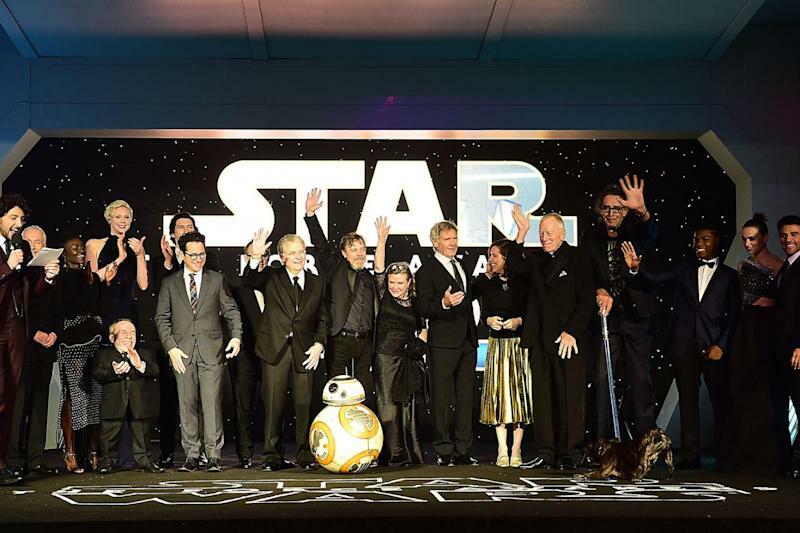 'Star Wars Episode VIII': Who's coming back in the next movie? More from BGR: ‘Star Wars Episode VIII’: Who’s coming back in the next movie?